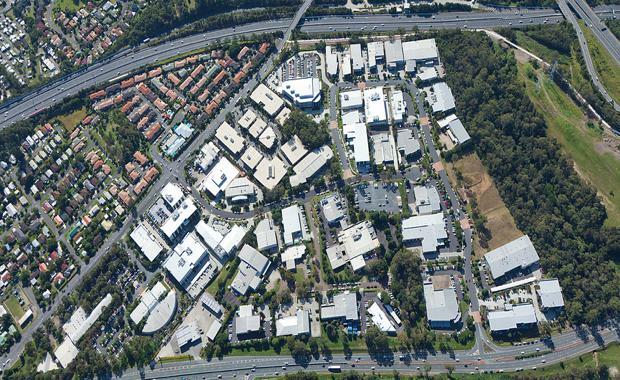 High demand for low vacancy rates has resulted in the sale of three properties within Brisbane Technology Park at Eight Mile Plains within a mere matter of days. The Brisbane Technology Park properties went to Zupp Property Group for $24.5 million, sold by JLLThe three assets were previously owned by Sydney-based fund manager Denison and formed part of the group’s unlisted Denison Diversified Property Fund which had been marketed as a portfolio this year. Elliott OShea and Blake Goddard from JLL’s Metro Sales & Investments team were responsible for completing the off-market transaction. The deal was structured as a carve-out of the broader portfolio sale. "We knew the three assets were non-core and acknowledged the opportunity to introduce a suitable buyer to the process and create immediate value for those groups who didn’t intend to hold the properties long term,” Mr O’Shea said. He said the sale happened extremely quickly. “For us to transact we needed to introduce a group who could operate within tight time frames and who were not subject to finance or capital raising. “Zupp Property Group were the logical buyer in this regard and acted swiftly to secure the assets, with terms agreed within a few days,” he said. “This transaction is just another sign of the investment fundamentals these parks offer,” Mr Goddard added. The three properties included in the transaction were 26 Brandl Street, 77 Brandl Street, and 4/107 Miles Platting Road totalling over 8,170sqm of NLA and with Weighted Average Lease Expiry of approximately 2.64 years.